CG Solution is a Professional Web Design and web Development, Domain Registration, Web Hosting, Search Engine Optimization, Graphic Designing, Consultancy Firm based in Jamnagar, Gujarat, India. We are a web design consultancy based Company. We built our first websites in 2007. We consider no job too small and welcome all customers. Our core work is web design, e-commerce and web application development, but over the years we have built on our skills and now offer a wide range of related services including internet marketing, and Search engine optimization. Our work is governed by 3 guiding principles: simplicity, user-centered design, and consistency. We work with our customers to provide effective business solutions that offer a real return on investment. We sell a computer all part and peripherals. We are also specialist in providing on site computer repair services and network support for all sized business, on site computer and network services. We have complete solution of computer hardware; software and networking . The Website Company are experts in consulting and delivering effective, functional, high impacting and creative web solutions for you and your company. We carry out all the necessary research and development to achieve the design and functionality that is required to achieve your goals. Our web design and development services offer you the opportunity to explore different ways of streamlining and generating new revenue for your business as well as improving and maintaining your image on the World Wide Web. We believe that every company has individual needs so we custom design and develop web solutions that will be suitable for your specific requirements.Using our range of skills and knowledge we make you stand out across the World Wide Web and keep you ahead of your competition by offering your products and services effectively to your target audience. Hi~My name is Scarlett. I am the manager of the indosatooredoosingapore company. Our company offer the best data center services in Singapore.if you want to know more , you can contact me or visit our website . Chaitanya Goswami is a friend,professional,honest,trustful and dependable also believe in helping others,coaching and mentoring others getting the job done,active on APSense God Bless! 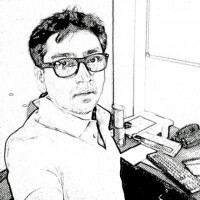 Here's recommending Chaitanya Goswami a Website Owner engaged in Business, Computers, Internet & eBusiness, Relationships, Software and others. Chaitanya Goswami is becoming a very good marketer here online, he has some very good resources for his websites and I can see he will do very well online. Here's recommending Chaitanya Goswami CEO of CG Solution Company WITH EXPERTISE on design website and an all web solution provider based in Jamnagar Gujarat India.